We will be publishing a newsletter which looks at field trials and case studies relating to the use of NIS forage fibre. On the right are images connecting to our last two newsletters. Please click on the image to view the full newsletter. At the top right of those pages you will see the subscribe link if you wish to subscribe. 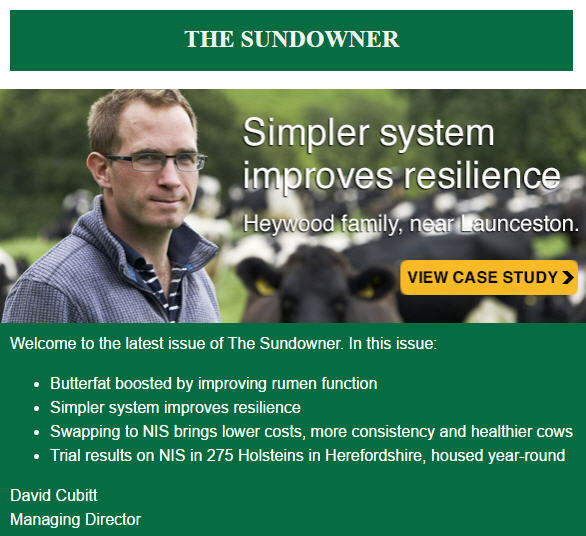 Alternatively please click on the Sundowner image below and you will go straight to the subscription page. 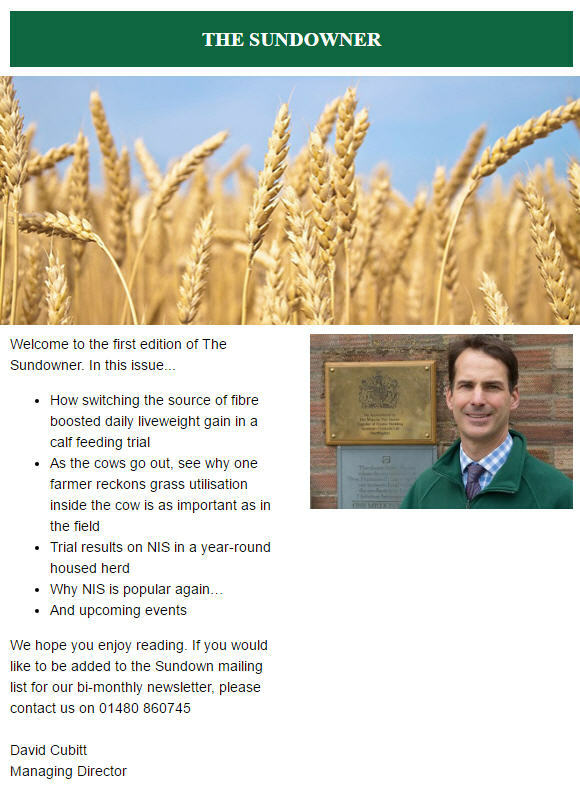 The Sundowner Issue 1. Please click on the image to see the full newsletter. The Sundowner Issue 2. Please click on the image above to view the full newsletter.